Custody issues are among the thorniest for couples in the midst of a divorce. Though there can certainly be fights over money and dividing personal property, when it comes to the kids it can be vastly more challenging to reach compromise. This is why family law judges so often intervene in custody disputes, acting as a neutral third party with an eye towards the best interest of the child. Though the system is far from perfect, with parents routinely arguing that one or the other wasn’t treated fairly or should have received more visitation, it generally serves its purpose of looking out for children and fairly allocating custody and visitation among parents. The same, unfortunately, cannot be said for couples in China. A recent article by Reuters discussed the shocking tactics employed by an increasingly large group of Chinese parents and the calls from critics to reform the broken system. The first thing worth mentioning is that China has seen a dramatic rise in divorce filings, something that the legal system has yet to adapt to. Since 2002, the divorce rate in China has tripled, now coming in slightly below that of the U.S. and well above the E.U. average. As notions of family change in China, with people more interested in individual happiness rather than family harmony, courts need to shift their strategy. Though divorce used to be a rare occurrence, it’s increasingly common these days and rules need to be implemented to create a fair family law system that looks out for parents and children. A sad facet of the current Chinese custody process is something known as child snatching. 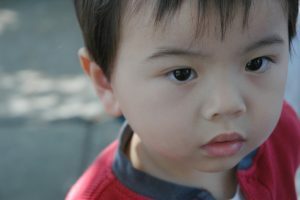 It’s alarmingly common in China that one parent, prior to filing for divorce, takes the child and hides him or her, usually with distant family members located in another area of the country. In some cases, parents will send the child hundreds or thousands of miles away and even have them use fake names until the divorce and custody proceedings are over. The goal of the child snatching is to deny access to the child from the other parent and convince a judge that it would cause more harm to the child to disrupt the status quo then to leave things as they are. In China, the vast majority of judges prefer to grant custody (it’s referred to as direct custody) to the parent that is in possession of the child at the time. This incentivizes child snatching, as it’s usually the case that whichever parent has control of the kid will win custody in long-term. Some experts say that as many as 60 percent of all custody cases in China involve child snatching or some attempt to deny access to the child to one parent. The problems with this approach are obvious. For one thing, parents are made to be enemies of one another, always suspicious that one might run off with the children, something that can make an already difficult process even more combative. Second, this kind of default approach of granting custody to the parent with possession of the children ignores the best interest of the kid. After all, it could be that an abusive parent is the one with possession and that the child is much worse off as a result. By failing to delve more deeply into the condition of the child, the courts exacerbate an already bad situation. Critics have said change is long overdue. As the divorce rate continues to increase, more and more couples will face custody problems and the solution isn’t increased child snatching. One thing that many have suggested is that Chinese courts take a second look at awarding joint custody. Currently, joint custody arrangements are rarely if ever recommended by judges, instead, the system relies on a winner-take-all approach. With so much at stake, it’s no wonder that parents feel justified in taking extreme actions. By awarding joint custody more often, the stakes are lowered and the parents can, hopefully, cooperate. This would benefit not only the adults, but also the children.